Popular with ‘Warrior’ as their debut song, idol group B.A.P has successfully completed their showcase in Kuala Lumpur. This is the second time B.A.P hits the shore with a strong and powerful performance. The showcase started at 8.30pm and successfully attracted fans form local and international country including fans from Singapore, Indonesia and Germany. 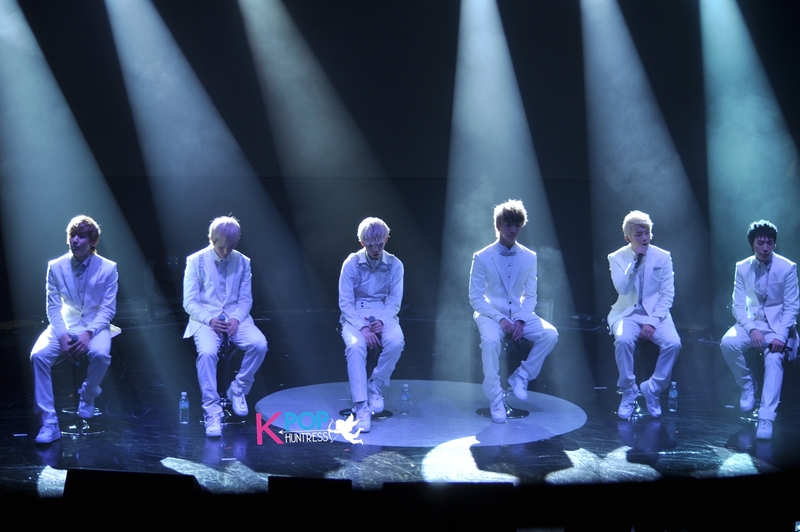 B.A.P showcase was held at KL Live, Life Centre, KL and had performed their hit song “Power” as the opening – after fans chanted for B.A.P loudly. They also staged other tracks ” Unbreakable” and “What the Hell” before solo stages by each member. Bang Yong Guk and Dae Hyun performed “I Remember” followed “Never Giver Up” by member Zelo. Jong Up who perform medley song, got his shirt ripped and the end of his stage and it made the atmosphere become hysterically wild with the unbelievable action. BABYs (referring to B.A.P’s fans) once again electrified with a cute performance when Youngjae performed a cover of “Baby” by Justin Bieber while Himchan was playing the Guitar before DaeHyun joined the stage. During the Q & A session with fans, each member picked their own questions from the question board. Fans asked about their ideal girls, a rap performance, their favorite dancer and even Dae Hyun abs! 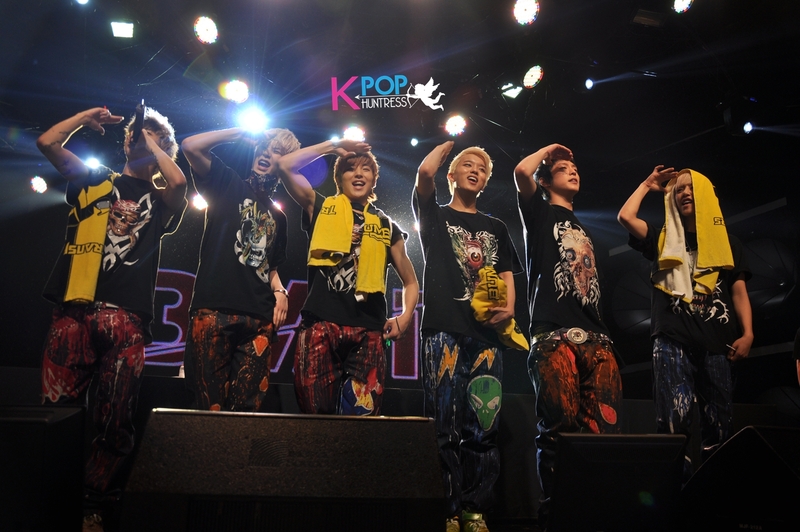 Members fulfilled each of the fans’ request except DaeHyun who dance in replaced of showing his abs. 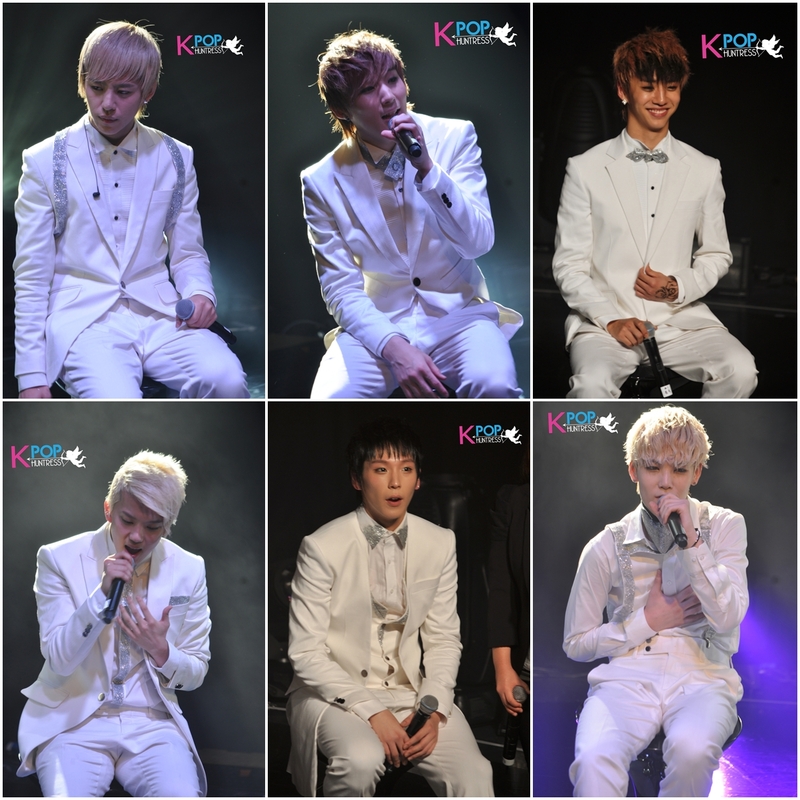 A change in atmosphere when their performed a soft ballad “Lie Lie” and ‘Secret Love’ with sweet voice and white suits. The ‘warriors’ have turned into the adorable prince charming(s) with the lullaby songs. B.A.P wrapped up the showcase with their famous title track, “Warrior”. Later, a short fan signing session was held after the showcase with 100 fans who hold the VIP ticket. What can we say about this showcase is the BABYs are so supportive and it’s been a while not listening to a firm and loud fanchant in an event. B.A.P ability to put up a good showmanship should be applauded despite they are still a newbie in the music scene. The members looked relaxed,enjoyed and comfortable with the stage and the show as much as the fans. Thus, this marks the successful of these young ‘Warriors’ to start conquering Malaysia with their charms and talents to nail the fans till the end. MyKpopHuntress would like to thank Jazzy Group for the invitation and opportunity to cover the event.